We have recently reduced prices on a wide range of our products, a small selection of our most popular ones are shown above. We still offer FREE UK mainland delivery and all orders are sent completely ‘plain cover’ with no mention of Stationery Direct anywhere. 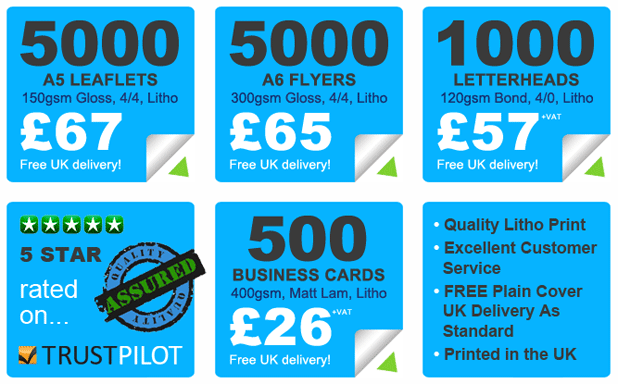 Whether it’s an order of 500 Matt Laminated Business Cards or 50,000 A6 Flyers, they will be printed in the same way; on top of the range litho print presses with the same excellent quality and service.